Frater Rufus Opus recently wrote that demons are elementals, or that they have elemental qualities. This is in his article about demonic agendas, and you can find it here. While some might think that this is a neat and tidy way of defining the nature of these spirits, I have to disagree with what he has written. (I also hope that I have understood exactly what he has written, too.) It really has to do with the nature of Angels and Demons, and whether either can be considered as nothing more than simple, mindless intermediaries of the Godhead, or as the Greeks would call them, the Daimones. I employ the term “mindless” because it is a defining adjective that I have used when talking about elementals. Even if one is using the supposed “Hermetic model” to define the natures of demons, my own personal experience (and that of many of my associates) has shown me that these supposed infernal spirits are quite intelligent. So, it would seem that either elementals are keenly intelligent (contrary to my experience) or demons are quite limited and dumb. That is, if there are any congruence between them at all. Allow me to explain my point. 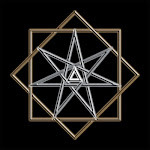 Now just because some authors (or grimoires) have given an order to the Infernal Hierarchy that is elemental doesn’t equate those spirits identically with “elemental forces.” It is an ordering structure, and like all ordering structures (or maps, for that matter), the order is not to be confused with the identities that are being so ordered. These ordering structures are a kind of analogy, not an actual physically based taxonomic ranking. You could also organize the Goetic demons according to the astrological decans (which I have done), and probably would learn more about them (from an astrological perspective) than you would by assigning them an elemental hierarchy. Of course, this is just my opinion. Needless to say, however they are organized it doesn’t mean that the organizing structure is synonymous with that which is being organized. It is just a matrix or model structure that human minds use to understand the complexity of the spiritual world, which can’t really be intellectually grasped in the first place. So, what are demonic spirits? For that matter, what are angelic spirits? Using the most simplistic perspective we should see them as embodying a force as well as a highly evolved intelligence. They are ultimately emissaries of the One that has no attributes or even a name, but more directly, the agents of various Godhead attributes, or what some would call the Gods. Like a living and activated symbol, they can be focused to a single point, multiple points simultaneously or effused into an overall general attribute of the Godhead. Actually, they exist as all three of these qualities simultaneously as well as other mysterious qualities, some of which might be altogether unknown to human nature. This is why a magician might summon one of them into appearance and then fully engage with that entity, even though what has been summoned is just an active link or a single (fractional) instantiation of the overall symbolic being. This whole matter is a profound paradox, as are all things that reside wholly within the world of spirit. What I have stated above is true of both angels and demons; they are analogous beings to each other. The difference between them has to do with their specific loci, although that is not a particularly useful term when talking about the world of the spirit. We can project onto the world of the spirit the structures that we find in our own world, namely, the threefold domains of celestial spheres, the geographic structures of the earth, and the chthonic underworld. All of these domains are actually a kind of symbolic topology, which should be viewed as similes or analogies and not actual physical locations. The locus for angels are the celestial spheres, the locus for earth spirits (not to be confused with elementals, I might add) is the geographic domain of material place, and the locus of the demons is the chthonic underworld. Each of these loci have their own qualities, but neither should be given the value of good or evil (or any other limiting quality), since they are actually beyond both good and evil. All of these structures are just mental models to help us differentiate and distinguish what is, in reality, a formless unity known as the One. Since many demonic names have within them the corrupted names of ancient pagan deities, then we can consider them to be demi-gods, and in some African Traditions, they are seen exactly in that light. Additionally, elemental spirits are below the influence of the planetary intelligences, while higher spirits, such as angels, demons, and sect-based intermediaries have the aspect of intelligence to crown their beings. I have joking referred to elementals as “dumb” or “mindless” because they operate below the level of intelligence and function as animated forces to be imprinted and directed by the magician and then allowed to operate on the simple goal to which they have been applied. They are incapable of thinking about that directive or mitigating it if something changes. They will therefore either hit their mark or miss it entirely. Elementals represent the emotional and passionate energies that all higher creatures are subjected to, but without any of the guiding forces of rational thought or intellect that can direct and control them. That controlling attribute is represented by the will and the assumed godhead of the magician. This is the quixotic nature of the elemental spirits, and since I have worked extensively with them for so many years I believe that I can make some important judgements about them. They are quite useful and simple to generate. They can be assembled like building blocks, but the are not overly effective, particularly for long term workings. However, no angelic or demonic being that I have ever summoned has been quite as one-pointed and lacking in intelligence as an elemental. 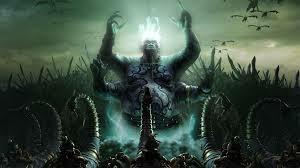 For this reason, I have to reject Frater R.O.’s theory that demons are elementals. If that were so, then the magician wouldn’t need to take such great care when establishing the binding agreement with demons. However, I believe that such care should be taken no matter what spirit is being invoked. Still, this means that the magician is dealing with an entity that has quite an evolved intelligence and is able to not only reason as we do, but also deal with ambiguities quite effectively , often to our ultimate dismay. How we are able to summon such an entity has more to do with the fact that there is a Deity residing in our core, and that Godhead within us is analogous to the Absolute Deity. (Some would say that they are equivalent.) Since spirits are, by definition, emissaries of the One, they are also emissaries to each of us who has realized, however briefly, our inner Godhead. Yet to treat spiritual entities with a respectful attitude is nothing less than treating one’s own inner Godhead in a respectful manner, too. Magicians should deal with chthonic spirits in a respectful and careful manner particularly since the underworld is the source of all material wealth and material potential. It contains the essence of transformative evolution as well as the mysteries of life and death, good health and material well-being. These qualities (provided by chthonic spirits) are even more important to life in the material world than what the celestial spirits might provide. Yet just as angels give a powerful perspective of the higher celestial domains and its visionary and prophetic potential, the demons wield the powers and wisdom of the underworld. Magical workings that incorporate either angels or demons will produce a powerful spiritual transformation within the magician, and this should be a sign that all such spirits are an active embodiment of the One. They are agents of the challenging ordeals (demons) and ecstatic visionary insights (angels) of a magician’s progress from his or her individual nature to the ultimate reality of the final Godhead ascension. These spirits and this kind of magick is far beyond the workings of the elementals, so we can dispense with any claims that they are one and the same. I might be breaking with tradition in making these definitions and building this view of the spirit world, but it is based on many years of continued praxis and an even longer period of study.